I won’t lie. When the teaser trailer of Zero landed featuring Salman Khan and of course Shah Rukh Khan, the film looked gimmicky and hammy — at best. But. I’m totally open to being proven wrong, and the full length feature trailer that landed on Friday, to mark SRK’s birthday, nothing short of wowed the socks of off me! Least because of the actor himself mind, playing an opportunistic, vertically challenged character, selfishly always reaching for the moon and the stars, even if it means it’s at the expense of someone else’s emotions, but more because of its leading ladies, particularly Anushka Sharma and yes, even Katrina Kaif, who seems to have brought her A-Game to the table not just with her looks, but with her histrionics too. Sharma plays a character with cerebral palsy who seemingly falls in love with Khan’s character, who in turn ditches her in favour of Kaif’s character, a glamorous actress who we’re led to believe, is a recovering alcoholic. Not that a trailer is ever an accurate representation of the film that eventually follows, but in this instance I’m almost entirely sold, probably because director Aanand L. Rai has a decent track record and because what we’re shown glimpses of here, is a genuinely unconventional love story between not so larger than life (no pun intended) characters with ample traces of grey. Basically, the best kind. In the trailer, SRK expectedly has oodles of unwavering energy and it will be interesting to see whether he does this sort of a complex character justice. To be fair, he’s been mixing it up in recent years, and has given several watchable performances (Raees, Fan), even though the films themselves have let him down. 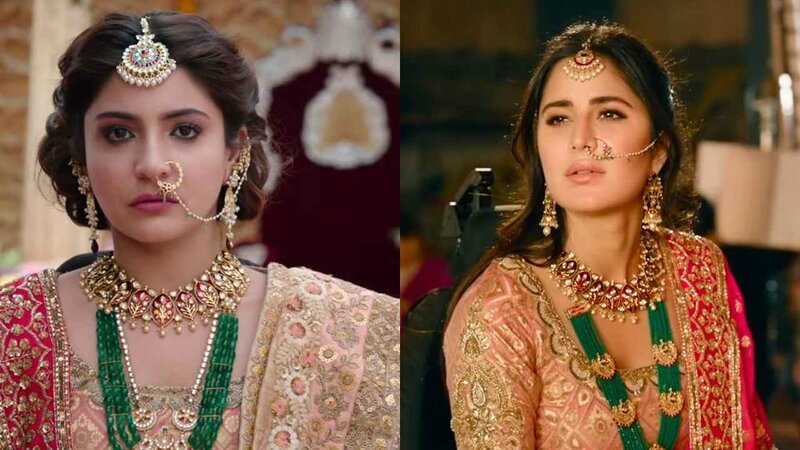 Astonishingly, even Kaif looks like she’s tried her level best, and credit where it’s due, one can never fault her for the effort she puts into her films — the fact that she’s the only reason I’m looking forward to Thugs Of Hindostan speaks volumes about how far she (and I!) have come! But hands down the most prominent reason I’m looking forward to Zero is Anushka Sharma. The versatility and dimension she’s brought to each of her diverse characters from Pari, Sanju, Sui Dhaaga and now Zero proves that Sharma is right up there, consistently pushing the envelope when it comes to her career choices, even if she isn’t always successful when it comes down to their execution. Their last outing, and late Yash Chopra’s swan song Jab Tak Hai Jaan was a bit of a turd (no offence), and only sailed through because of the director’s untimely death, but Zero looks all set to end an already great year at the movies with a spectacular high. Zero hits the marquee on 21 December and also features Abhay Deol, Sheeba Chaddha, Mohammed Zeeshan Ayyub and R. Madhavan in key roles along with a number of special appearances in the form of the late Sridevi, Salman Khan, Kajol, Deepika Padukone, Rani Mukerji, Alia Bhatt, Karisma Kapoor and Juhi Chawla.